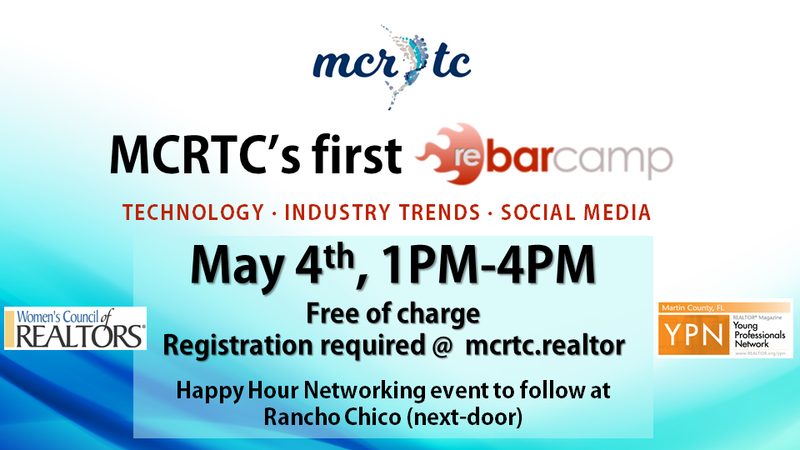 We are so excited to be hosting this first-ever REBarCamp at MCRTC! This event is free of charge, but registration is required. MCRTC members can register online – just click here. If you are not a member of MCRTC, but you would like to attend, please call Renee at 772-283-1748 to sign up.